July 11th 1977: Keel laid. 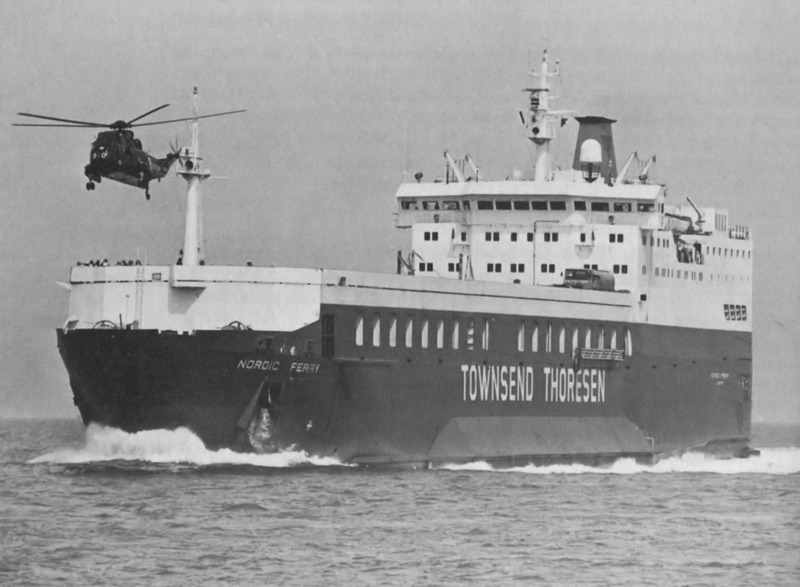 July 31st 1978: Delivered to Stena Container Line Ltd, London, England. 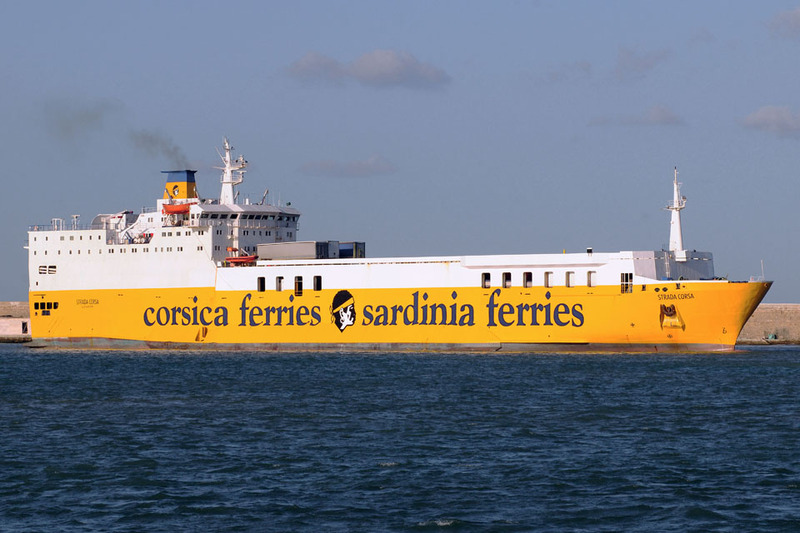 August 1978: Chartered to Merzario Lines and renamed MERZARIO HISPANIA. 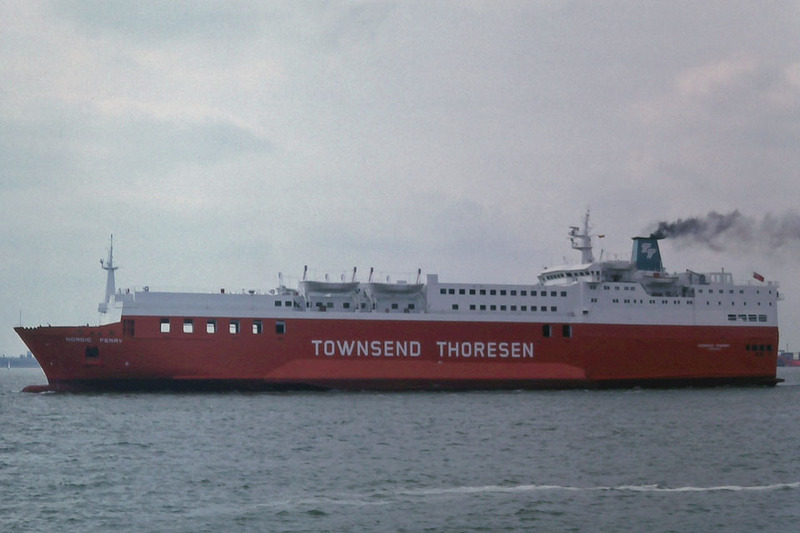 January 1980: Chartered to Townsend Thoresen European Ferries, Dover, England and renamed NORDIC FERRY. 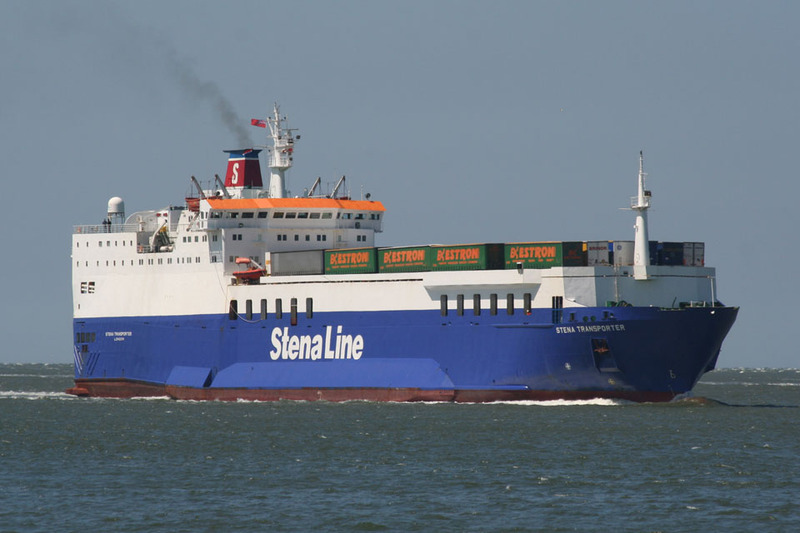 Services between Felixstowe – Europoort. December 16th 1980 – February 7th 1981: Rebuilt at Hapag Lloyd Werft GmbH, Bremerhaven, with extra passenger accommodation and weather deck. Side-sponsons added. 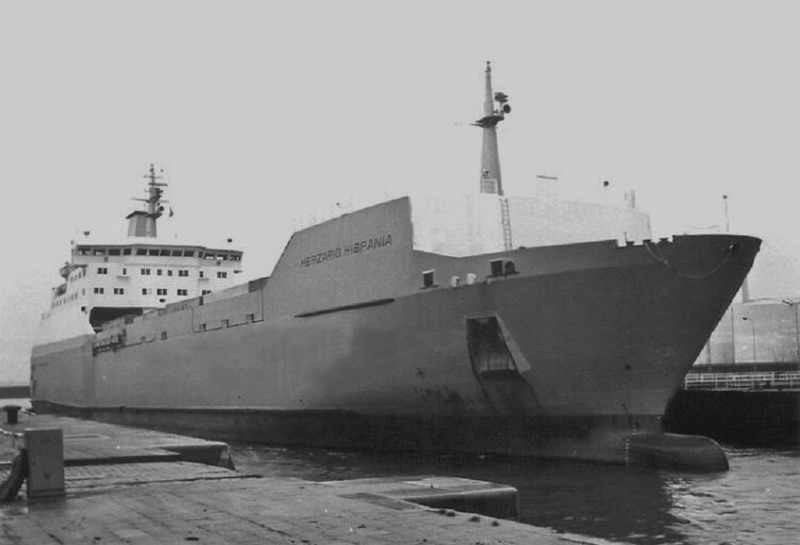 May 3rd 1982: At Europort requisitioned by British Armed Forces (Royal Marine) to transport supplies to the Falklands and ordered to sail immediately to Portsmouth for modifications prior to the voyage south. 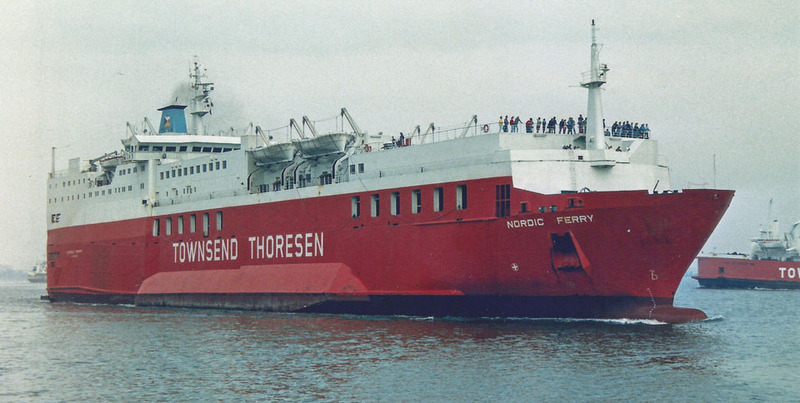 May 9th 1982: Sailed in company with BALTIC FERRY to Falklands. May 29th 1982: Detached to proceed independently to the disembarkation areas. July 29th 1982: Returned to Southampton, later receiving Battle Honour “Falkland Islands 1982”. 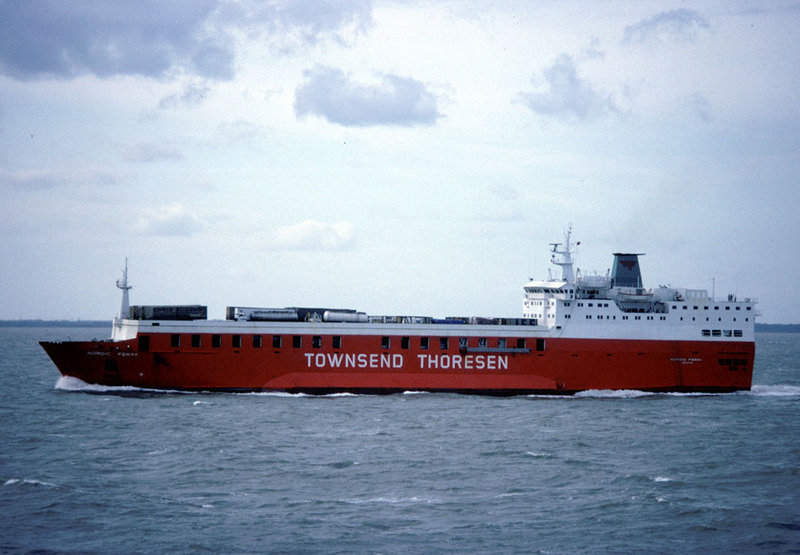 August 25th 1982: Returned to service between Felixstowe – Europoort. 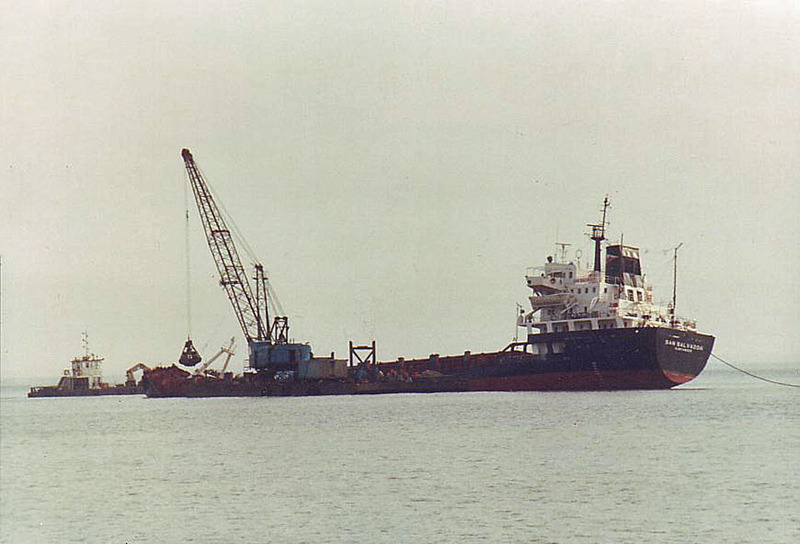 December 1984: Sold to Monarch Steamship Co Ltd, London, England. 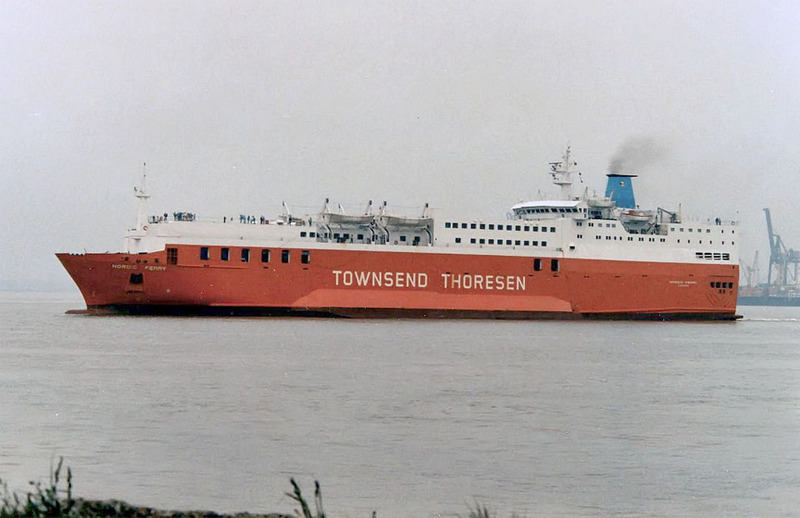 March 1986: Rebuilt at Wilton Fijenoord B.V. Rotterdam, Holland to a car and passenger ferry. 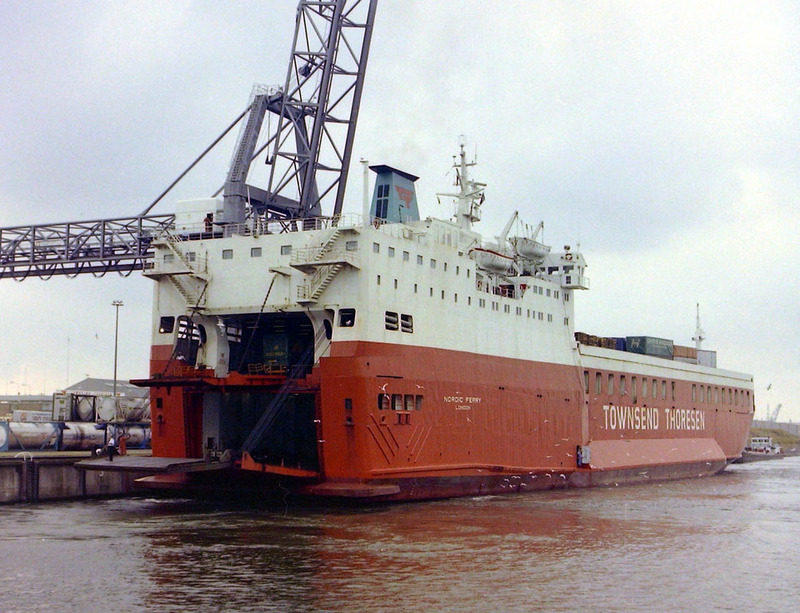 June 1986: Returned to service Felixstowe – Zeebrugge. 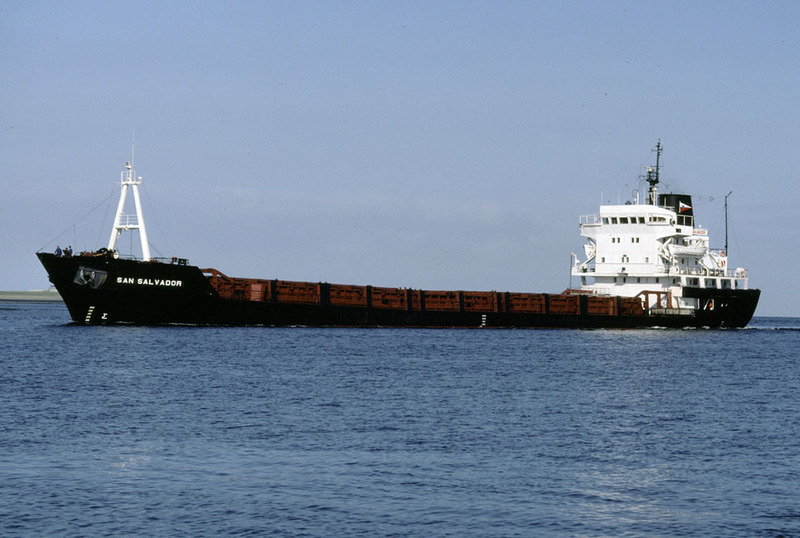 February 4th 1987: Collided with the cargo vessel SAN SALVADOR (IMO 7717755) in Harwich. HARWICH, ENGLAND HARWICH, England (AP) _ . No one was reported injured. 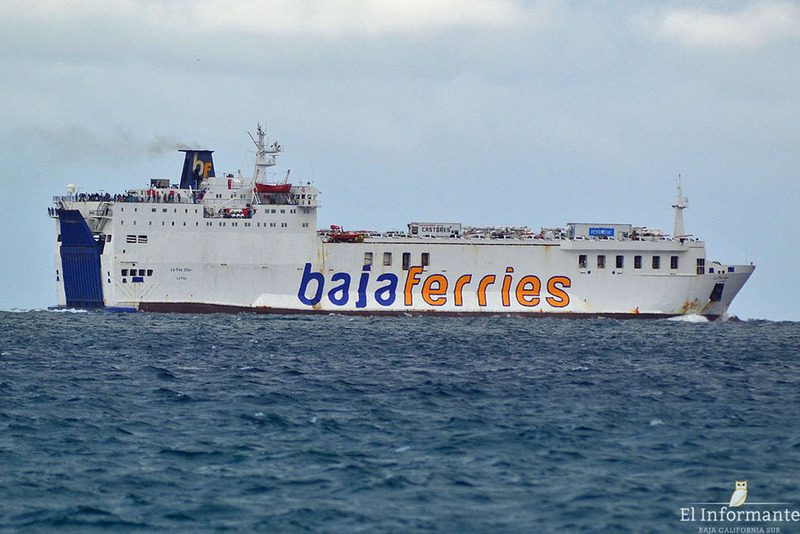 A 3,850-ton Spanish cargo ship, San Salvador, received severe damage to its bow in a collision with the British passenger ship Nordic Ferry, and was towed aground at Harwich harbour on the south-east coast to keep it from sinking. 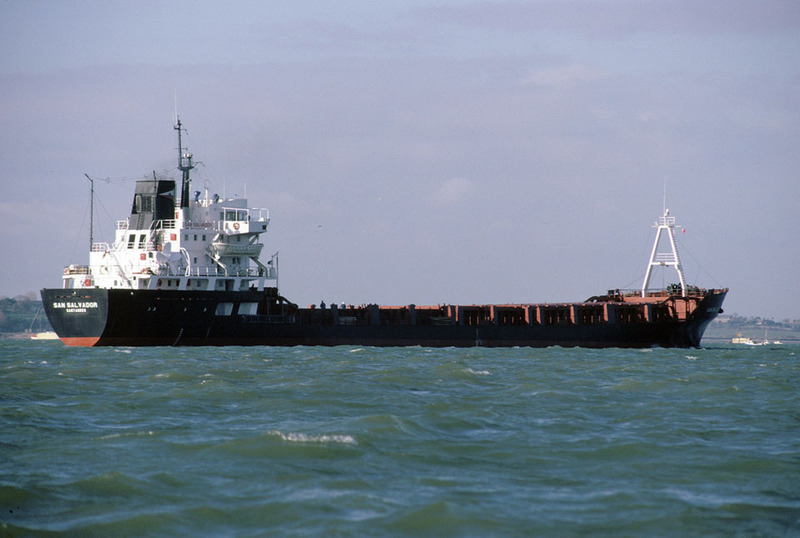 The harbour, 68 miles north-east of London, was open to one-way traffic only after the ship, carrying a cargo of grain, was towed in, blocking part of the entrance. The 17 crew were all taken ashore. 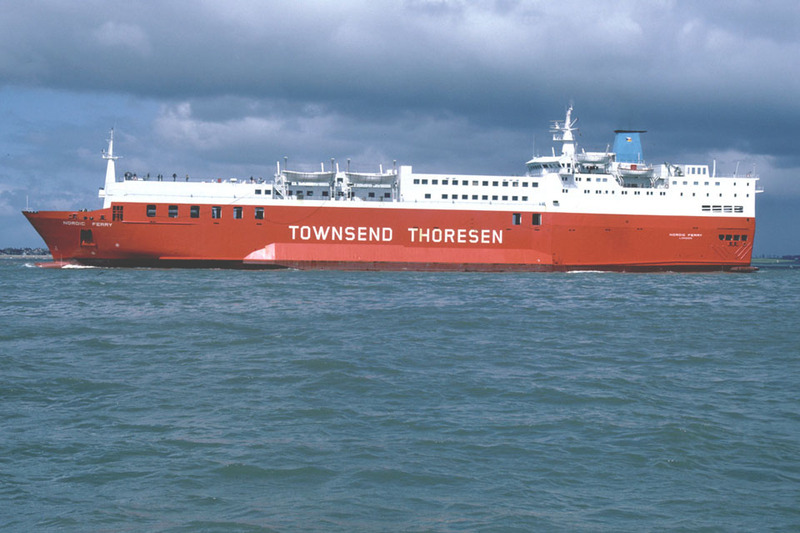 Townsend Thoresen line’s Nordic Ferry, steaming from Zeebrugge in Belgium with 95 passengers, also was damaged in the bow and was towed into its home port of Felixstowe near Harwich, the Coast Guard said. 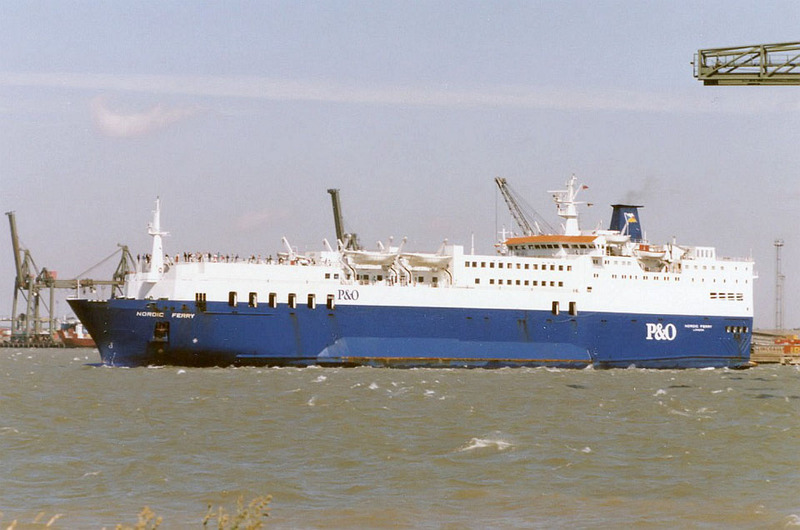 December 31st 1987: Registered to P&O European Ferries Ltd., Felixstowe, England. 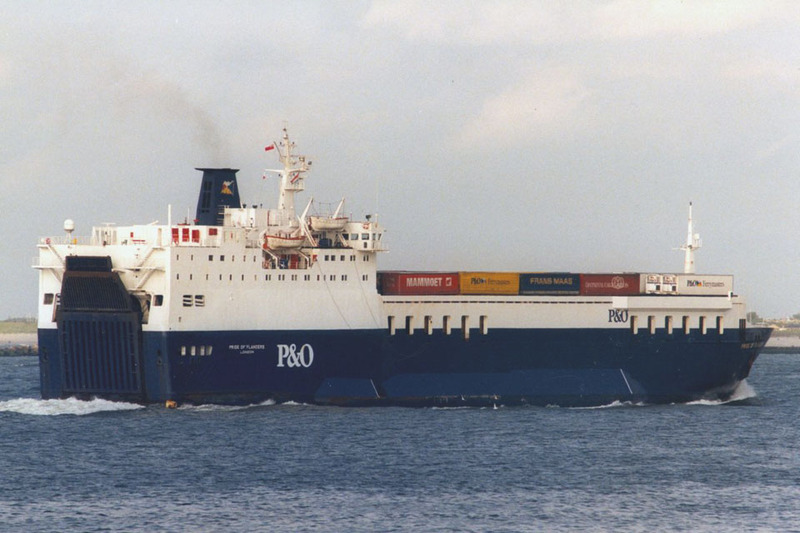 1989: Taken over by P&O European Ferries, Felixstowe, England and commenced service between Felixstowe – Zeebrugge. 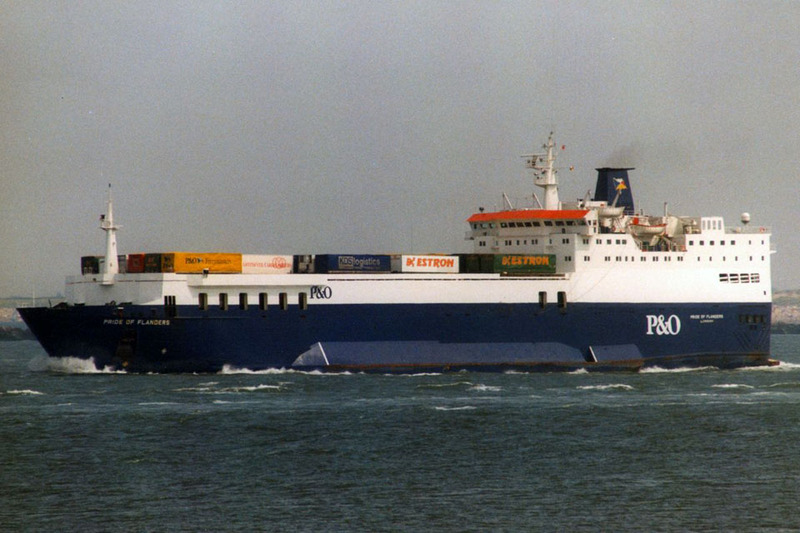 March 18th 1991: Sold to NatWest Finance, London, England and bareboat chartered to P&O European Ferries Ltd, Felixstowe. 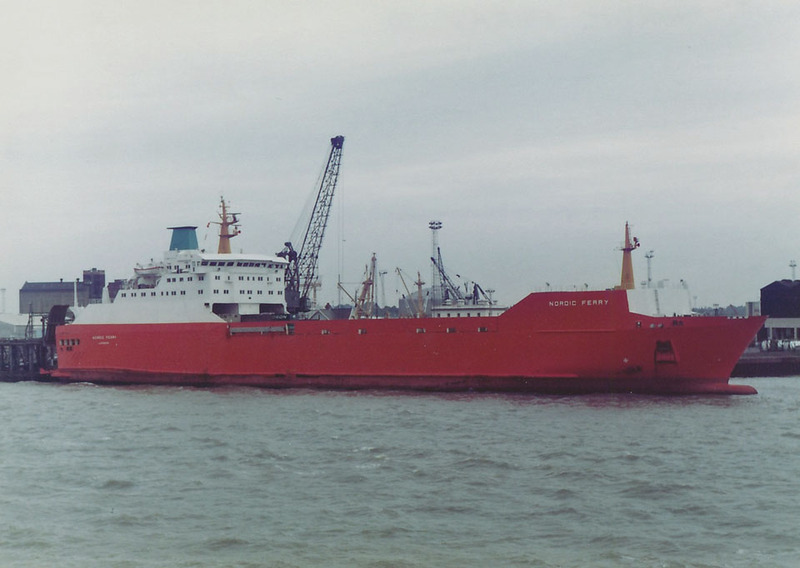 February 1992: Renamed PRIDE OF FLANDERS. 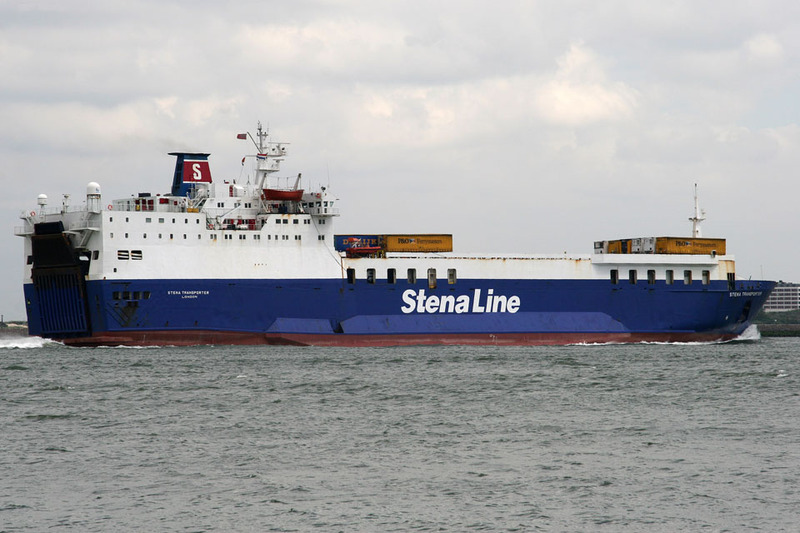 October 22nd 1995: Commenced service as a passenger ferry between Felixstowe – Zeebrugge. 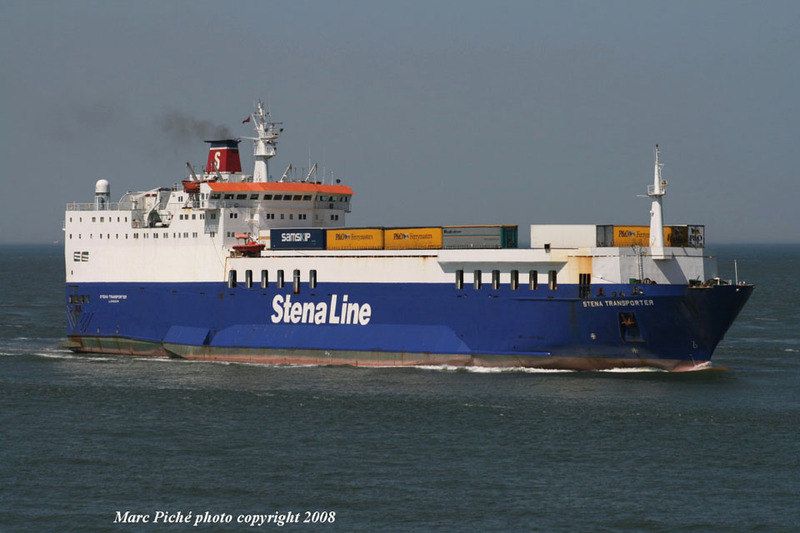 October 23rd 1995: Service between Felixstowe – Europoort. 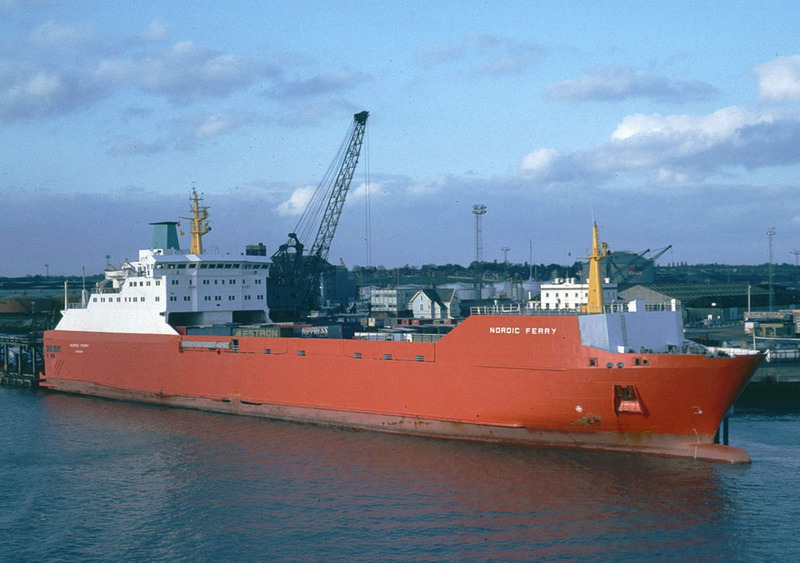 November 1995: Arrived at Harland & Wolff, Belfast for rebuilding to a freight ferry. 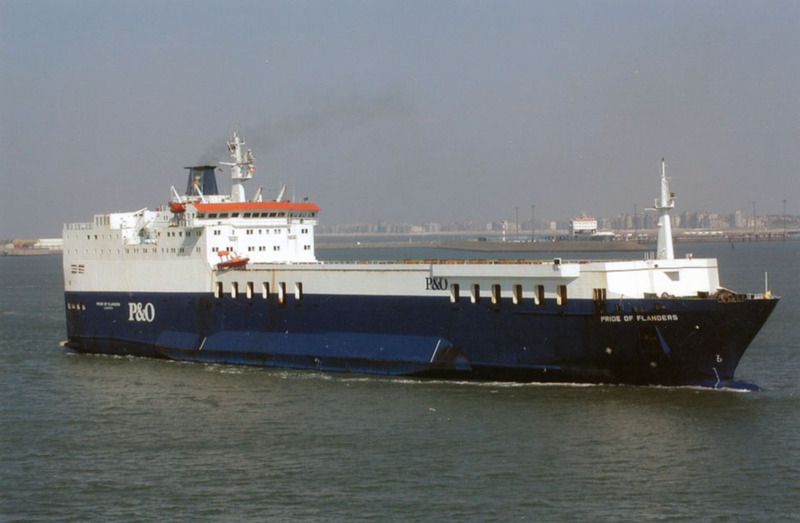 November 1995: Commenced service between Felixstowe – Europoort (Rotterdam). 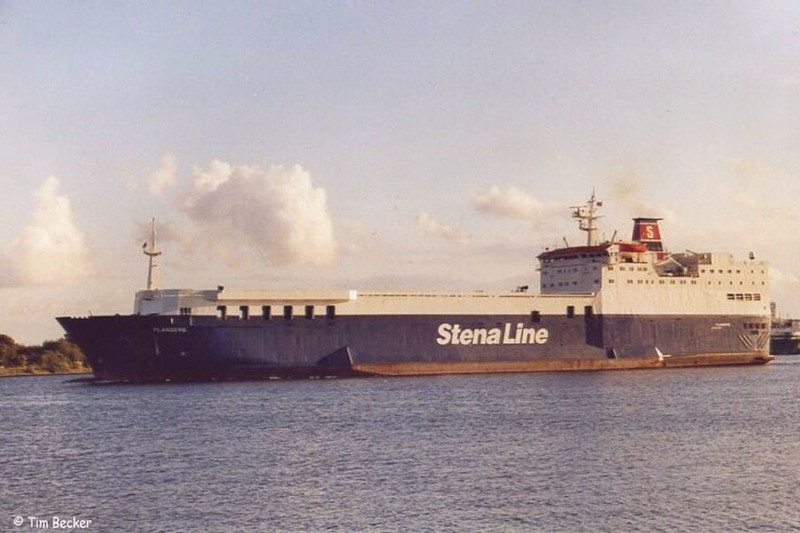 July 2002: Sold to Stena Line Ab, Gothenburg. July 24th 2002: Renamed FLANDERS. 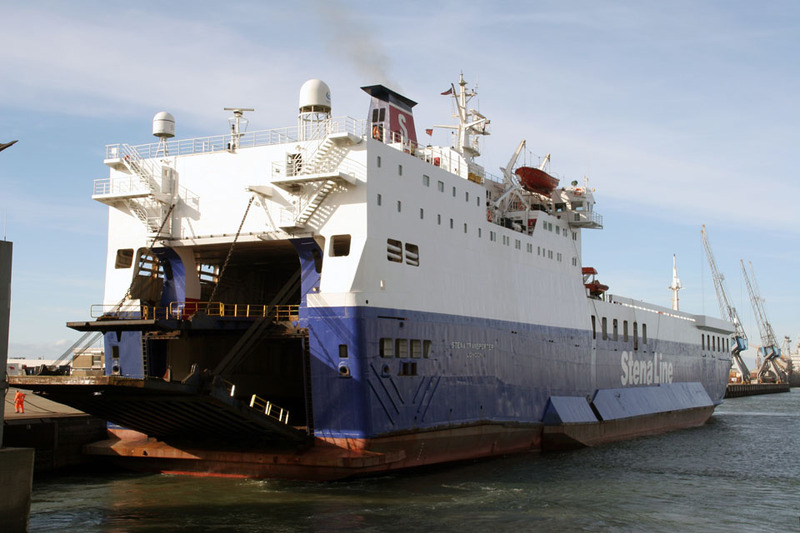 September 15th 2002: Service between Harwich – Europoort. 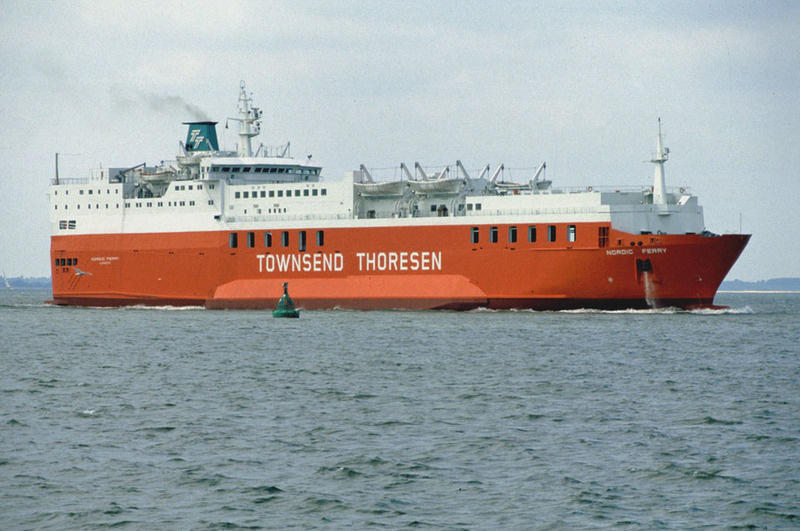 September 24th 2002 – October 2002: Chartered to Scandlines for service between Trelleborg – Travemünde. 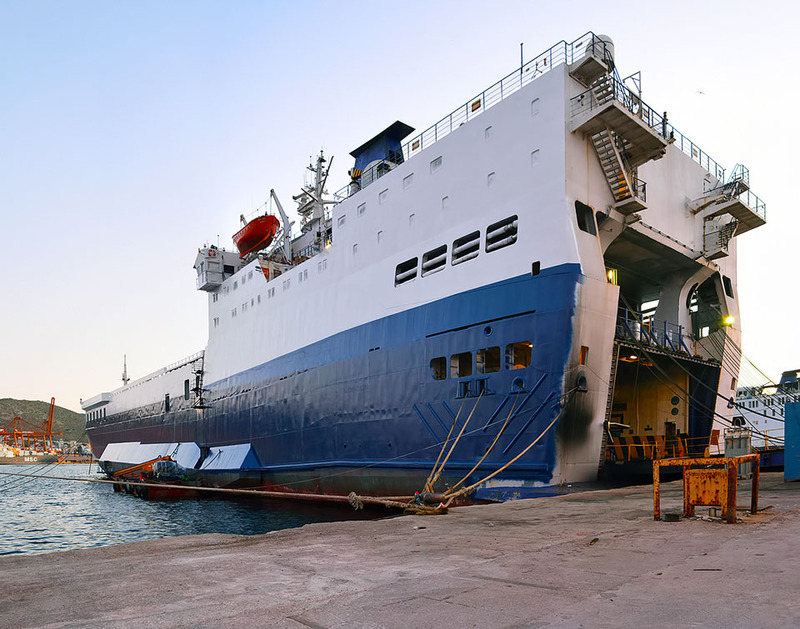 November 2002: Refit at Remontowa Shipyard, Gdansk, Poland. 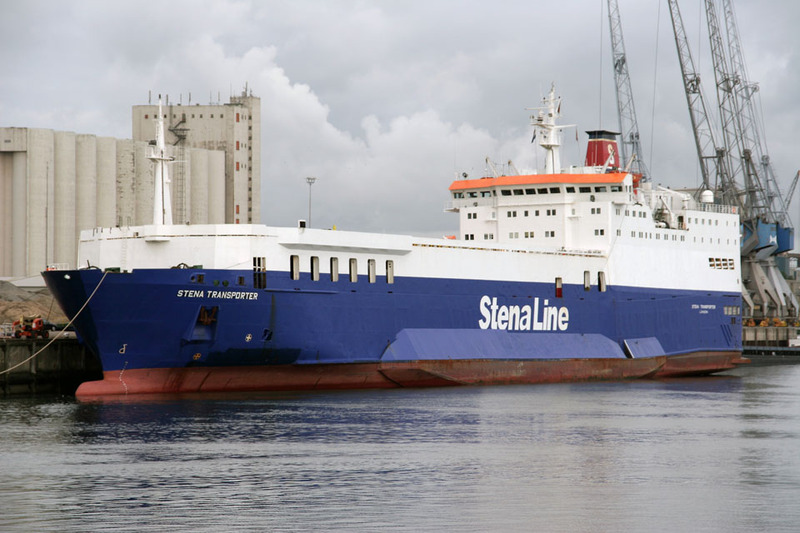 November 2002: Renamed STENA TRANSPORTER. 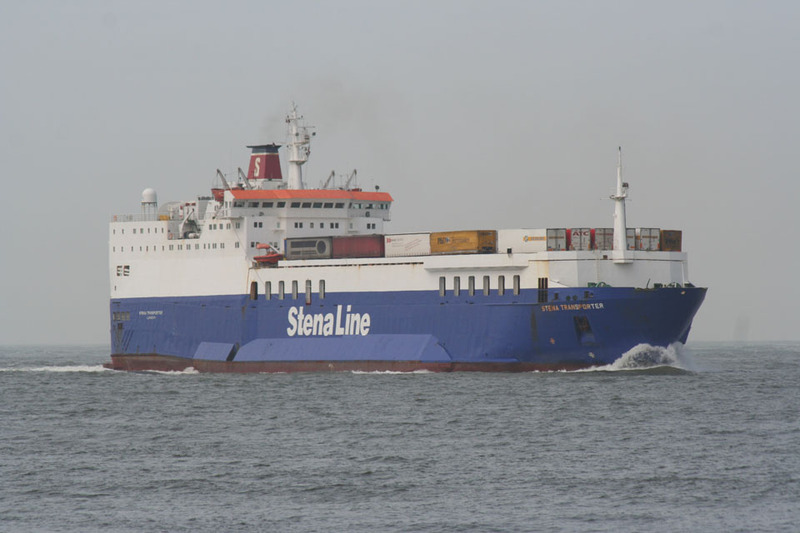 November 23rd 2002: Service between Harwich – Rotterdam. 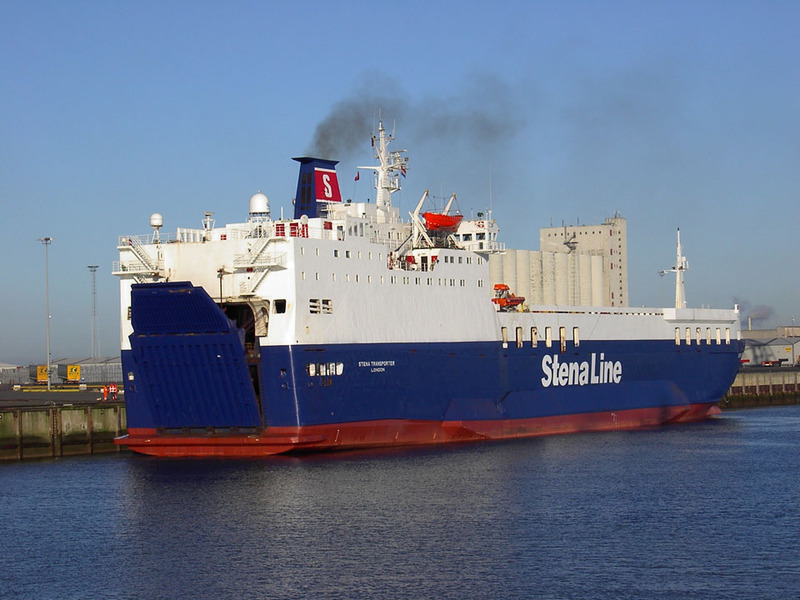 January 24th 2003 – February 5th 2003: Service between Hoek Van Holland – Killingholme. 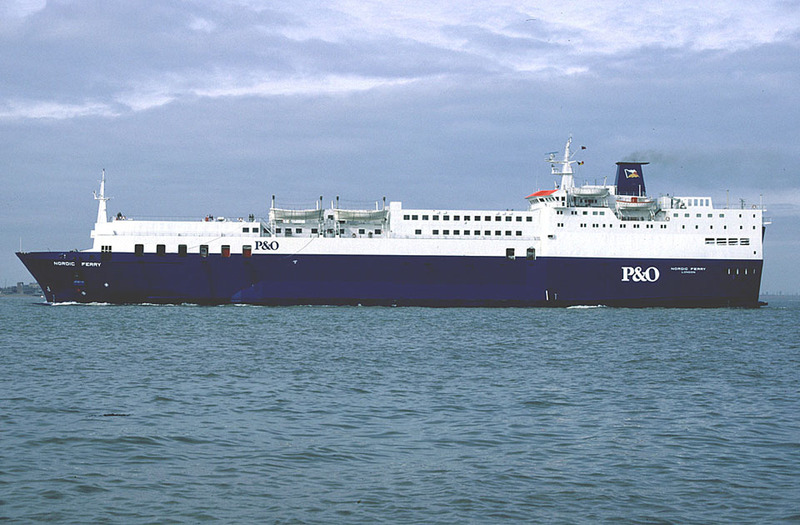 April 2003 – July 2003: Services between Dublin – Holyhead. 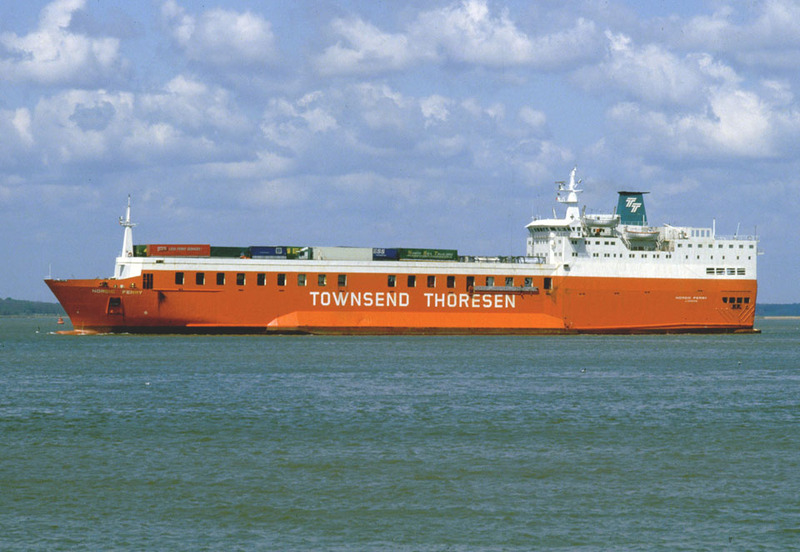 July 2003: Service between Harwich – Rotterdam. 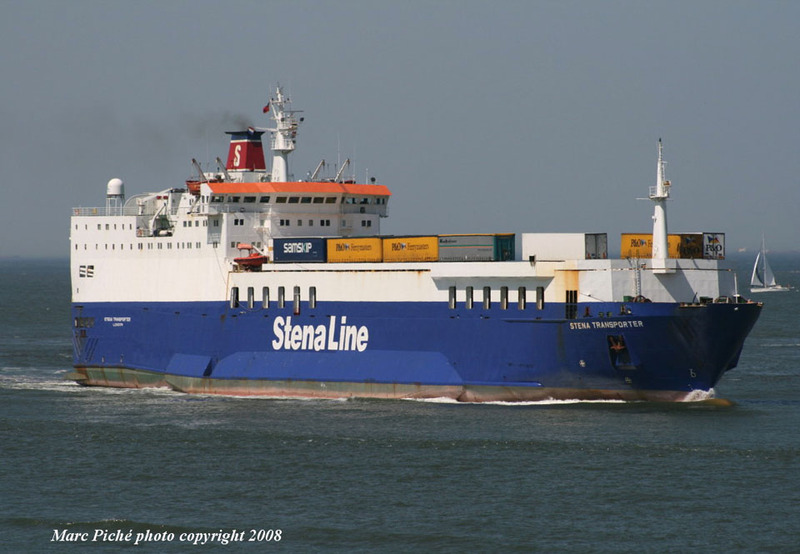 March 12th 2005 – March 13th 2005: One trip between Hoek Van Holland – Harwich. 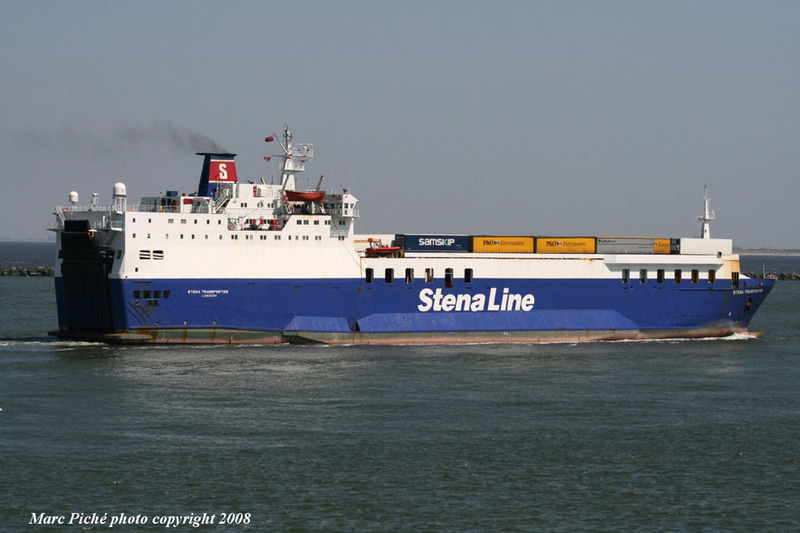 September 22nd 2007: Arrived at Holyhead. 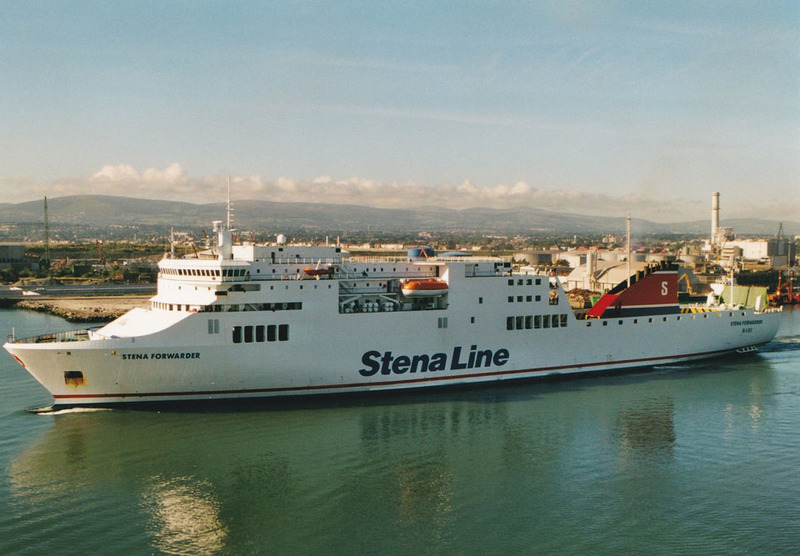 September 23rd 2007 – October 6th 2007: Service between Dublin – Holyhead. 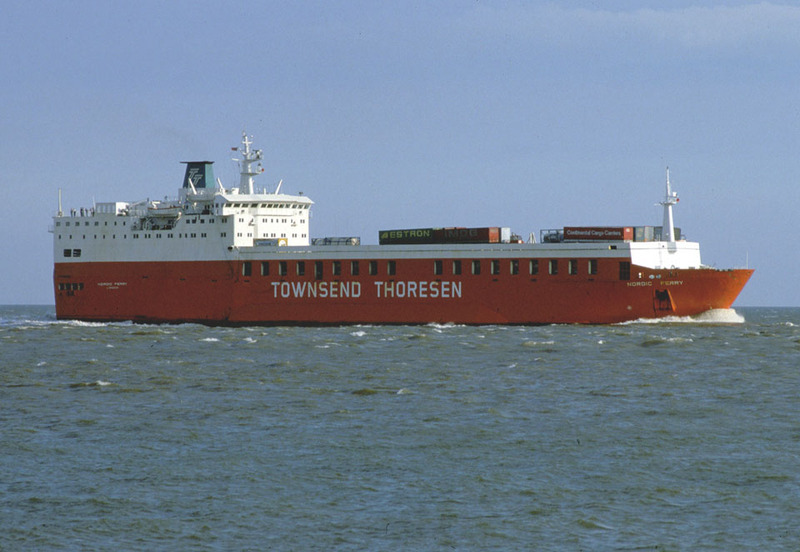 October 2007: Service between Rotterdam – Harwich. March 1st 2009: Taken out of service and laid-up, for sale. 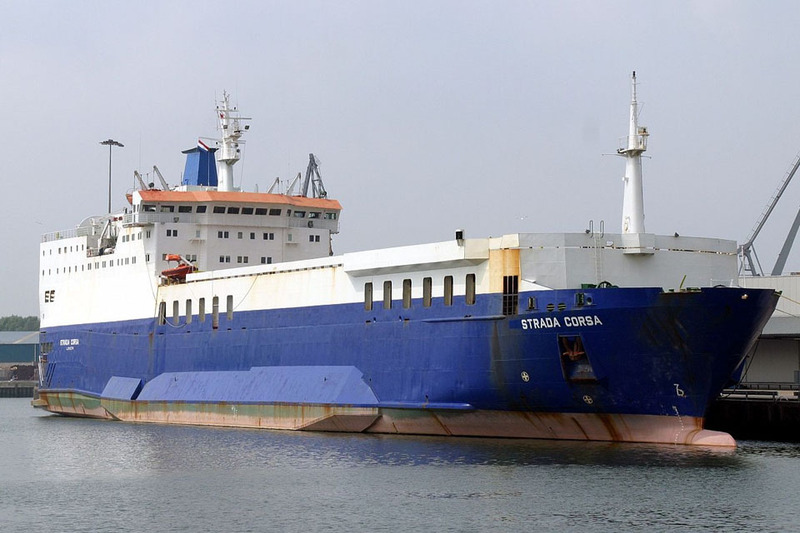 June 2009: Sold to Strade Blu S.rl, Genoa, Italy and renamed STRADA CORSA. June 29th 2009: Departed Rotterdam for Italy. 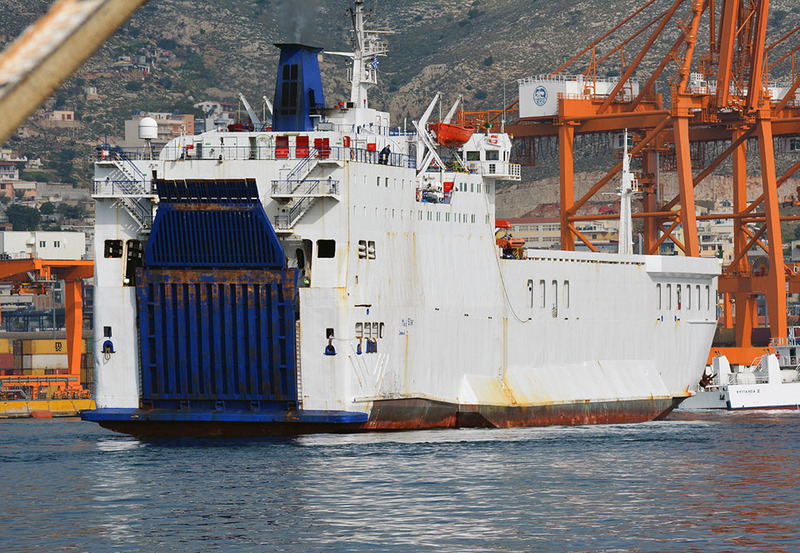 July 2009: Services between Livorno – Olbia. 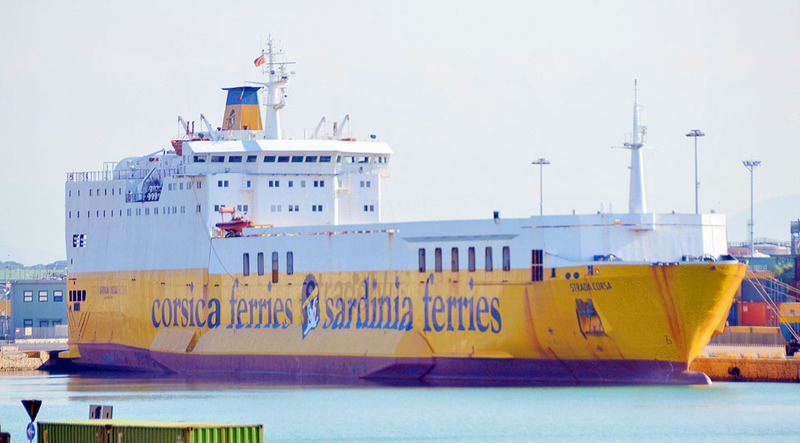 2011: Chartered to Moby Lines for services between Livorno – Olbia. September 21st 2013: Arrived in La Spezia. 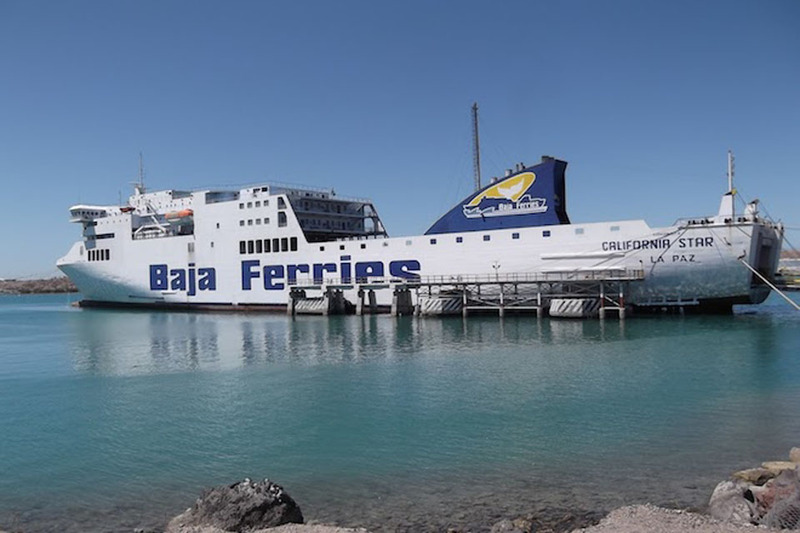 October 2013: Sold to Baja Ferries SA, La Paz, Mexico and renamed LA PAZ STAR. October 10th 2013: Left La Spezia for La Paz, Mexico. 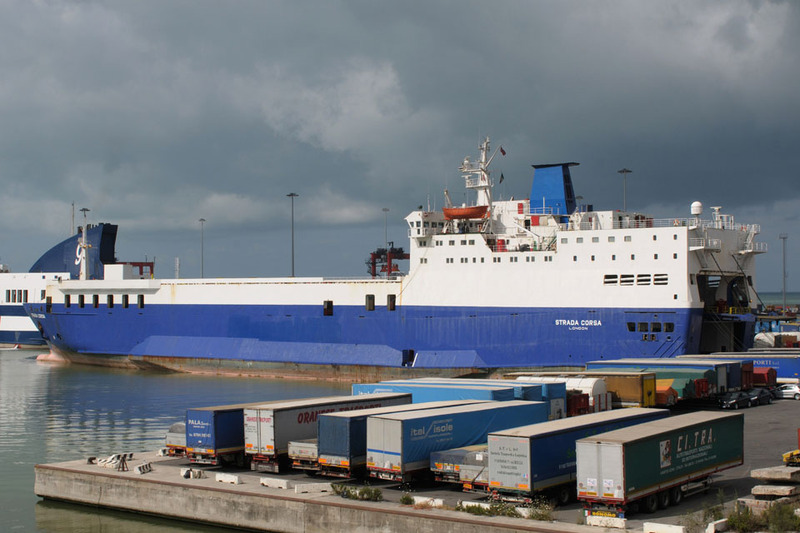 February 2014: Replaced CALIFORNIA STAR (ex STENA FORWARDER) on the Topolobampo – La Paz route. January 26th 2015: Suffered engine failure and was withdrawn pending repairs. March 14th 2016: Reports sailing between La Paz, Baja California Sur and Mazatlán, Sinaloa. 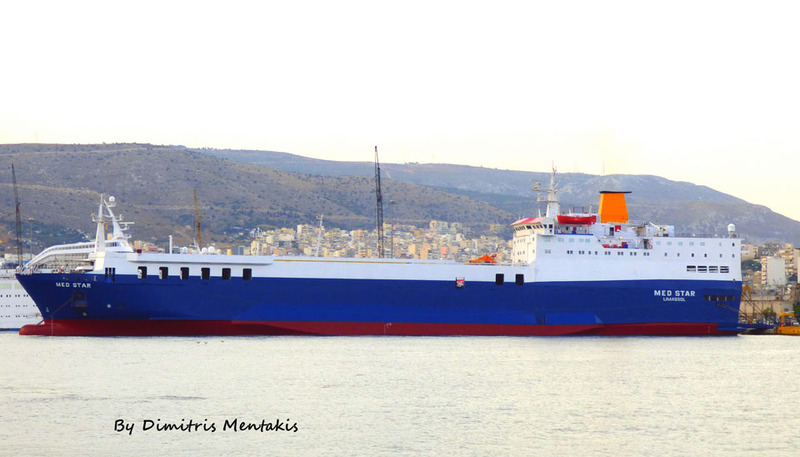 December 1st 2016: Registered under the Cypriot flag and renamed MED STAR. 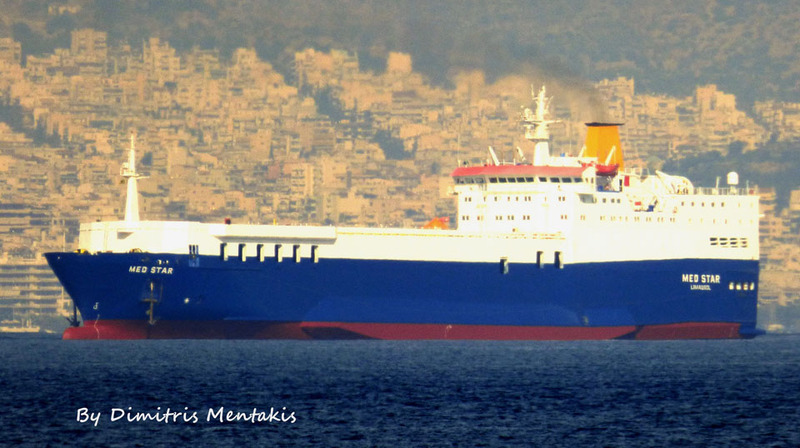 December 2nd 2016: Sold to MED FERRY 1 LTD, Care of Medferry Shipping Co, 1, Athanasiou Diakou Street, Alimos, 174 55 Athens, Greece. December 16th 2016: Departed La Paz, Mexico bound for the Panama Canal (Pacific Anchorage). January 3rd 2017: Arrived at the Panama Canal (Pacific Anchorage). January 9th 2017: Commenced her transit of the Panama Canal. January 13th 2017: Finished her transit of the Panama Canal and commenced her crossing of the Atlantic. February 16th 2017: Now back in European waters having passed through the Straits of Gibraltar bound for the Spanish enclave of Ceuta. 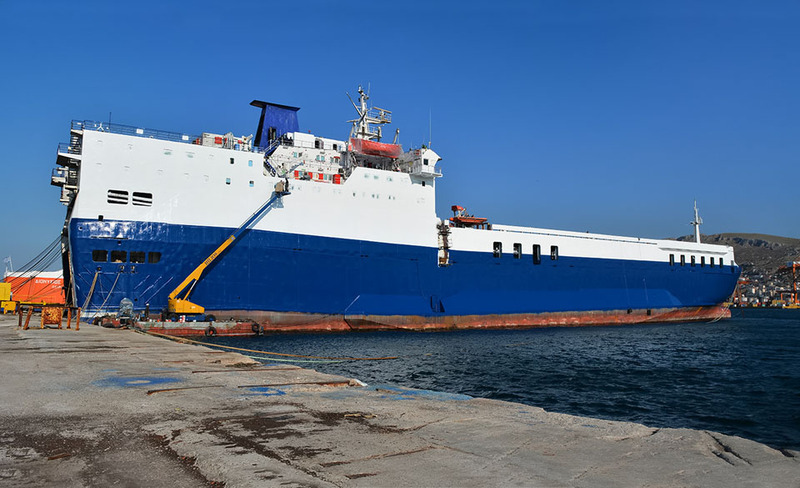 June 15th 2017: “ATHENS, Greece — Greek authorities say a cargo ship carrying vehicles has caught fire off the island of Rhodes but none of the 32 people on board are in immediate danger. 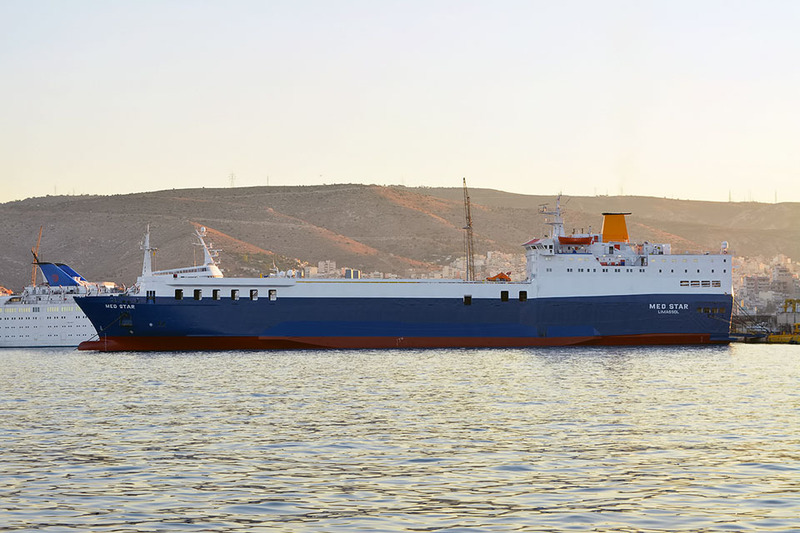 The Merchant Marine Ministry says the blaze broke out Thursday on the Cypriot-flagged MED STAR as it was sailing two nautical miles off Rhodes in the Aegean Sea. 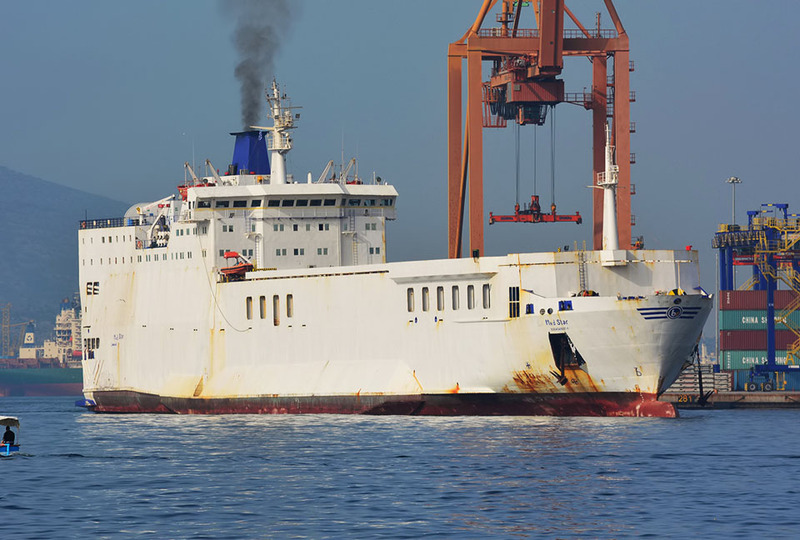 It said 20 crew members abandoned the vessel in a lifeboat and are being towed to Rhodes, while the remaining 12 stayed on the ship to try to extinguish the fire, which broke out in one of its two engines. All information is believed to be correct and no responsibility is accepted for any errors or omissions. All items included in this article are subject to © copyright. We would like to take this opportunity of thanking: Tim Becker, Cees de Bijl, Brian Fisher, Tony Garner, Ton Grootenboer, Frank Heine, Pieter Inpijn, Leo Johannes, John Jones, Dimitris Mentakis, Dennis Mortimer, Marc Piché, Joerg Seyler, Simonwp, Ken Smith, Mikael Soderholm, Rob De Visser, Wil Weijsters and Andreas Wörteler for their assistance in producing this feature. Special thanks to Micke Asklander. Amazing story of this vessel. 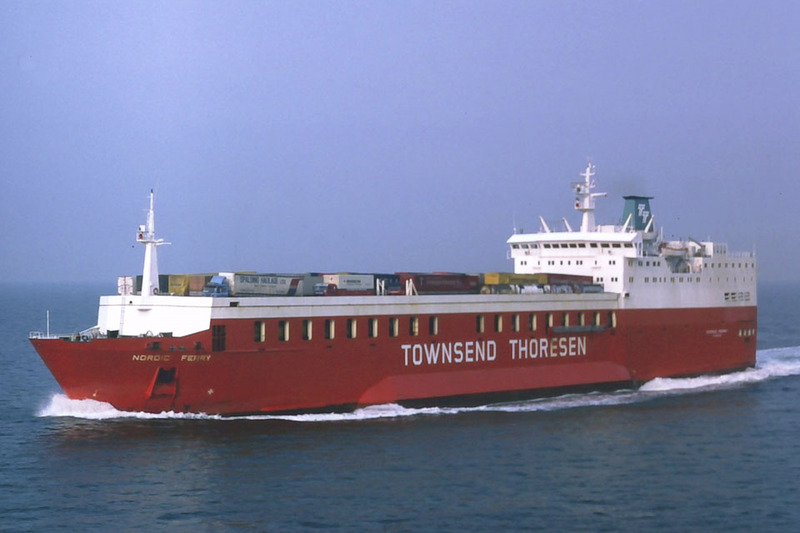 I have been port agent for TT/P&O ferries in Amsterdam and Rotterdam during refitts/conversions and strikes whatever was required by the company. A wonderfull company to work for, which I did untill the North Sea Ferries came in. Our office Dammers en van der Heide was not the liner agent. Fine memories.